Jim has been a partner of BWTP P.C. since 1988. Jim has over 30 years of experience with dental and medical practices. He works with a wide range of practices and has a knack for providing money-saving operational ideas. Jim delivers a host of services to his clients including tax savings, practice analysis, practice enhancement, financial and retirement planning, business succession planning, dental practice start-ups as well as transitions and acquisitions, exit strategies, and wealth advisory services. Practices of all sizes benefit from Jim’s knowledge and find value in the special skills of an accountant trained and experienced in the dental industry. Jim graduated from Southern Illinois University at Edwardsville with his Bachelor of Science in Business, Major in Accounting. Before becoming a partner with the firm in 1988, he worked for a large St. Louis accounting firm. In 2007, Jim earned his Series 65 license for which he is now an Investment Advisor Representative as well as earning the Personal Financial Specialist (PFS) designation awarded by the American Institute of CPAs (AICPA). Join Jim now in developing an obtainable, lifelong plan allowing you to achieve your goals, personally and professionally, for now and for your retirement. Brad works with a wide range of practices and is leading our transition team. Brad has significant experience in providing tax and accounting services, business consulting and planning in the dental industry. He is a graduate of the University of Missouri – Columbia where he earned his Bachelor of Science in Accountancy degree. He has served as a member of the MSCPA Accounting and Auditing Committee and assists numerous charitable and community organizations. Brad works closely with our clients by providing superior client service and assisting them with financial, business operations and tax related matters. Clients appreciate his responsiveness and attentiveness on a daily basis. Ray joined the BWTP P.C. team in 2006. As a principal, he assists clients in various industries, including dental practices and professional services. In particular, Ray has experience with accounting, tax and management advice in the areas of taxation, auditing, business valuations and other matters. With over 30 years of accounting experience, Ray has been very instrumental in his clients’ growth and success over the years. Ray graduated from Southwest Missouri State University with a Bachelor of Science in accounting. In 2008, Ray earned his certification as a valuation analyst (CVA) and has experience with business valuations for dental practices, as well as businesses in a other industries. With over 30 years as a dental assistant, business coordinator, practicing dental hygienist, Practice Administrator and educator for both solo and multi-provider practices is committed to the enhancement of professional, proficient, profitable and client-driven dental teams. She is dedicated to training team members to practice as health-dedicated professionals that adopt vital attributes for long term success. It doesn’t matter if you practice general dentistry or specialized care, you and your team deserve the optimum most valuable and comprehensive professional services available on the market. Especially with the hardship our country currently suffers through, your team and practice does not have to accept, “it’s just the economy”. And if you’re planning a practice transition, to enhance your current team or just beginning with a new dentist practice start-up, Angela can take your practice and business from good to great! Regardless of your position, confidence in knowing and receiving solid business results is vital and undoubtedly deliverable. Angela’s experience and understanding of people enables her to balance the specific needs of hygienists, patients, doctors and staff, creating a profitable, proactive and conductive environment to the entire team. She is very cognizant of the issues you face every day in growing your practice. With substantial industry expertise, Angela has been helping people and dental offices to find their “WOW” factor. Angie Thomas started her career at BWTP P.C. in 1998. She played a key role in developing and expanding the dental niche over the years. She has had an integral role in the expansion of the dental niche into the Kansas City market as well. Her key focus at the firm is building and implementing procedures that focus on client retention, new business and expanding services within the dental client base. She is our event planner and coordinates all of our speaking engagements. She has been able to obtain national accreditation for her company for the second term for continuing education through the Academy of General Dentistry (AGD). Her most recent endeavor is playing a key role on our BWTP dental transition team. You can call her anytime and have a down to earth conversation about your goals personally and professionally whether you want to work in a practice or purchase a practice. Rosemary joined BWTP P.C. as part of the BWTP Transition Team in the summer of 2017. 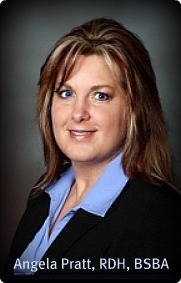 She has been in the healthcare arena since 1982 and began working in healthcare banking in 1998. Her experience in the dental and healthcare industry makes her a valuable member to the Transition Team. Practices of all sizes benefit from her years of experience and connections in the dental community. Rosemary received her Associate Degree in Nursing from Manatee Community College in Bradenton, Florida, her Bachelor of Science in Healthcare Administration from St. Leo College in St. Leo, Florida, and her Masters in Science in Healthcare Delivery Systems from Webster University in St. Louis. She has served on many non-profit boards in different capacities, and presently serves on the Board of Directors for Delta Dental of Missouri. Rosemary understands that each practice and practitioner is unique, thus providing high touch and high quality service is at the building blocks to a strong working relationship. Rebecca joined the BWTP P.C. Transition Team on January 1, 2017. She assists with Client Development. Rebecca’s education background includes receiving her diploma in Dental Assisting from Missouri College. She also took various courses at Southwestern Illinois College. She spent 15 years working at a local pediatric dental practice as a Dental Assistant and was also cross trained to work in the front office. After that, Rebecca worked in an Independent/Assisted Senior Living Community as an Attendant, and then became Assistant Director. She found her way to BWTP through Angela Pratt when they worked together at the dental office.